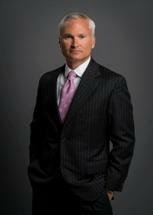 Brent F. Bradley has established himself as an effective and dedicated representative for accident victims. A Board Certified Civil Trial Attorney, Brent F. Bradley has extensive trial and appellate experience, serving as lead and/or sole counsel for more than 50 civil cases on behalf of clients throughout Florida and southern Alabama, in both state and federal courts. He maintains offices in Pensacola and Panama City. Lead counsel in over 30 civil trials in state court (Escambia, Santa Rosa, Okaloosa, Bay, Leon, Duval, Palm Beach, Broward counties in Florida; Baldwin and Jefferson counties in Alabama) and federal court (Northern District of Florida). Obtained numerous verdicts in excess of $1 million and numerous verdicts for hundreds of thousands of dollars. Sole or lead counsel on over 20 civil appeals in District Courts of Appeal (1st, 2d, 3d, and 4th districts) and United States Courts of Appeals (11th Circuit).